The Joint Commission (TJC) will soon require hospitals to have assessment tools and additional procedures in place to treat patients at risk of suicide. Specifically, the new requirements will go into effect July 1, 2019, and are in response to worsening suicide rates in the U.S., according to TJC literature. “Because there has been no improvement in suicide rates in the U.S., and since suicide is the 10th leading cause of death in the country, The Joint Commission re-evaluated the National Patient Safety Goals [NPSG] in light of current practices relative to suicide prevention,” according to a written statement from TJC in Perspectives. The added emphasis on suicide comes at a time of national concern about suicides in hospitals and is meant to complement the “Zero Suicide” campaign, an effort by several outreach groups to eliminate suicide in healthcare facilities nationwide, according to TJC literature. Suicide prevention has been an element of performance for hospitals accredited by TJC since 2007, but the new requirements go further. The group has held expert panel meetings since June 2017 to develop these new suicide prevention policies. As of March 1, 2016, TJC surveyors began to pay closer attention to the assessment of potential ligature (hanging) injuries, suicide risks, and self-harm monitoring, especially in psychiatric hospitals and inpatient psychiatric patient areas in general hospitals. TJC surveys occur at hospitals every three years. Hospitals are issued citations and then have to submit a plan of correction showing they have fixed any violations. However, in recent years, TJC has been criticized for giving accreditation to hospitals with major safety issues. In the article, the accreditor acknowledged that the issue of preventing suicides in the country’s hospitals is a work in progress, and that recommendations are likely to change in the future. 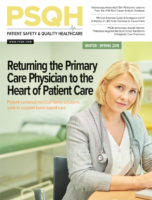 But TJC noted that patient injuries caused by self-harm and suicides have been a long-standing problem for hospitals, and with behavioral health patients becoming a more prevalent population in healthcare facilities, preventing suicides through thoughtful design has become a higher priority. While the recommendations stopped short of mandating that hospitals make changes to the ways they try to prevent suicide, the new requirements mark the first time that TJC will consider a hospital’s approaches to suicide prevention in deciding whether the hospital should remain accredited. Behavioral healthcare organizations, psychiatric hospitals, and psychiatric units in general hospitals should conduct environmental risk assessments to be ligature-resistant. Specifically, hospitals must conduct an environmental risk assessment that identifies features in the physical environment that could be used to attempt suicide. They must also minimize ligature risks by taking such actions as removal of anchor points, door hinges, and hooks that can be used for hanging. Non-psychiatric units in general hospitals are not expected to be ligature-resistant; however, the units should minimize risks in the environment for patients identified at risk for suicide. Units will be required to mitigate the risk of suicide for patients at high risk, such as through one-to-one monitoring, removing objects that could be used self-harm if they can be removed without adversely affecting the patient’s medical care, assessing objects brought into a room by visitors, and using safe transportation procedures when moving patients to other parts of the hospital. This information can be used for training staff who monitor high-risk patients (e.g., developing checklists to help staff remember which equipment should be removed when possible). Organizations must develop a plan to mitigate suicide risk based on an individual’s overall level of risk. Organizations must follow written policies and procedures for counseling and follow-up care for individuals identified as at risk for suicide. The new requirements should not come as much surprise to hospitals that have been paying attention, as TJC has been discussing and debating the subject for at least two years. Still, it would be prudent for each organization to examine their policies and procedures and make sure they are in alignment with what the new standards will require. “From a strategic perspective, I suspect that most folks are already taking things in the required direction(s), but where I had hoped for a little more clarity is for those pesky areas in the general patient population in which we do/might manage patients at risk to harm themselves,” writes Steven MacArthur, a consultant with The Greeley Company in Danvers, Massachusetts, in his blog Mac’s Safety Space. Designing patient treatment areas that are ligature-resistant is a perennial problem for hospitals, especially for older hospitals that don’t have the budget for costly redesigns or renovations. Fortunately, there is plenty of advice out there. TJC recommends the Design Guide for the Built Environment of Behavioral Health Facilities, published by the Facility Guidelines Institute; there are also the design guidelines published by the International Association of Healthcare Safety and Security, which feature plenty of information regarding prevention of patient suicide and harm. To provide safer, more inviting facilities for behavioral health patients, many hospitals are boasting high ceilings, open areas, and large windows that allow more natural light to come in. Some behavioral health units have “wander spaces,” group areas where patients can hang out and walk off their energy as opposed to sitting around. Some hospital waiting rooms are being designed with a living room feel, with comfortable furniture, fireplaces, showers, and video games, to create a less threatening environment for those who may be subjected to longer stays. In 2013, Minnesota hospitals began redesigning patient rooms when it was found that facilities there were seeing some of the highest national rates of suicides since the 1990s. As a result, facilities began floor-to-ceiling reviews of room designs, eliminating features that patients could use to harm themselves. In some psychiatric units, hospitals concentrate on patient bathrooms, which is where many suicide attempts take place. Pinch points are eliminated on doors, as are breakaway shower heads in bathrooms. The handles on the faucets are modified, and there are no doorknobs. Hospitals can also save money by keeping flexibility in mind. To cut down on hazards, some facilities have begun designing “multi-modal rooms” that can be transformed depending on the needs of the patient being treated. Need a safe room for a behavioral health patient? A multi-modal room is designed so that medical equipment, oxygen tanks, IV poles, and other potentially harmful items are kept behind a sliding “garage door” that can be pulled down and secured.